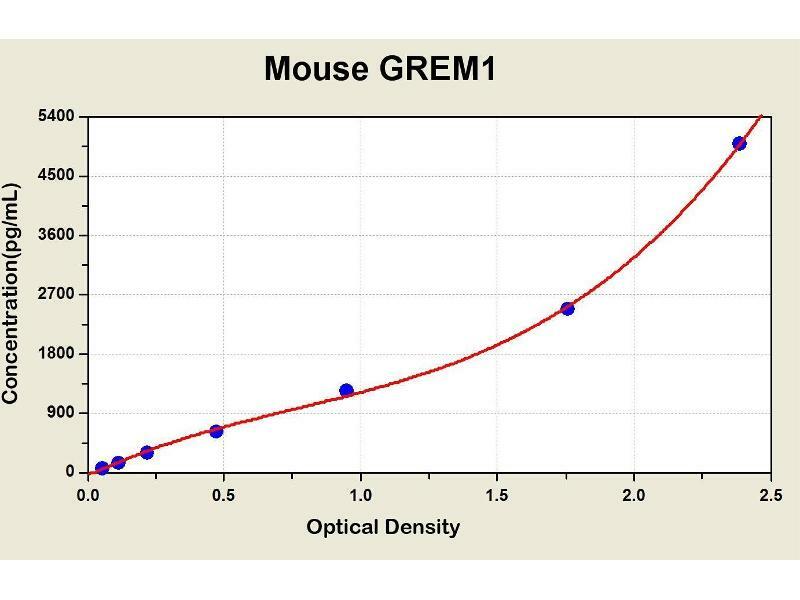 Diagramm of the ELISA kit to detect Mouse GREM1with the optical density on the x-axis and the concentration on the y-axis. 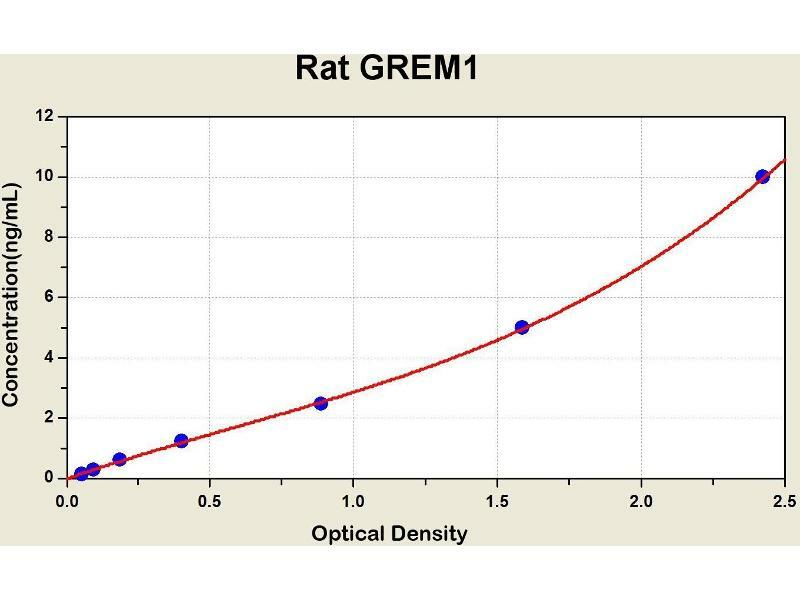 Diagramm of the ELISA kit to detect Rat GREM1with the optical density on the x-axis and the concentration on the y-axis. 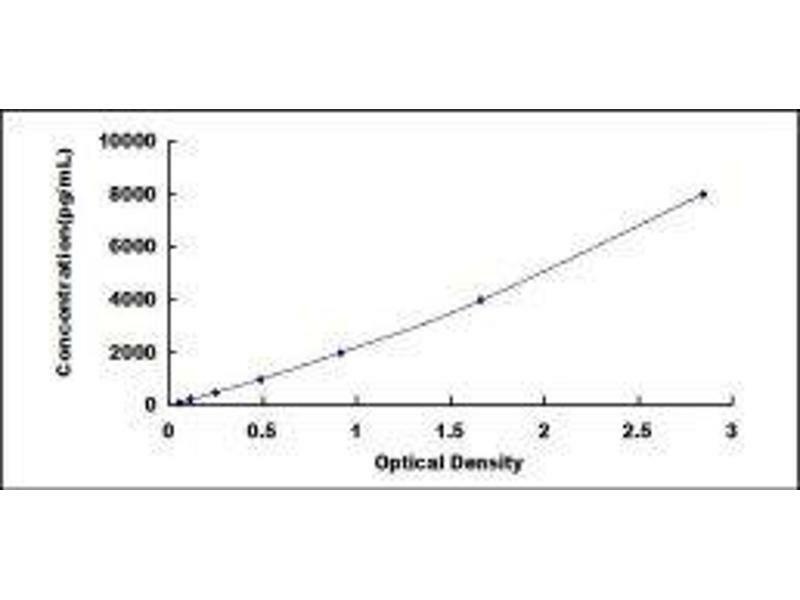 This gene encodes a member of the BMP (bone morphogenic protein) antagonist family. Like BMPs, BMP antagonists contain cystine knots and typically form homo- and heterodimers. The CAN (cerberus and dan) subfamily of BMP antagonists, to which this gene belongs, is characterized by a C-terminal cystine knot with an eight-membered ring. 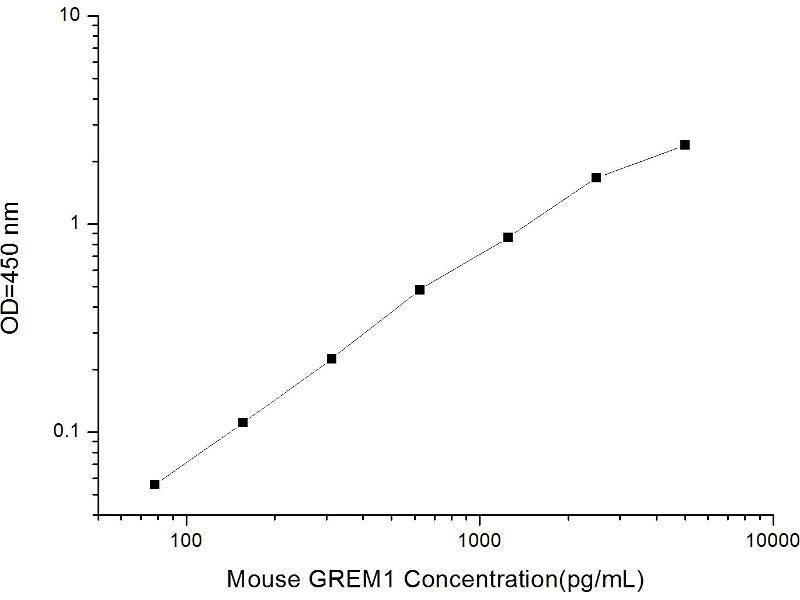 The antagonistic effect of the secreted glycosylated protein encoded by this gene is likely due to its direct binding to BMP proteins. 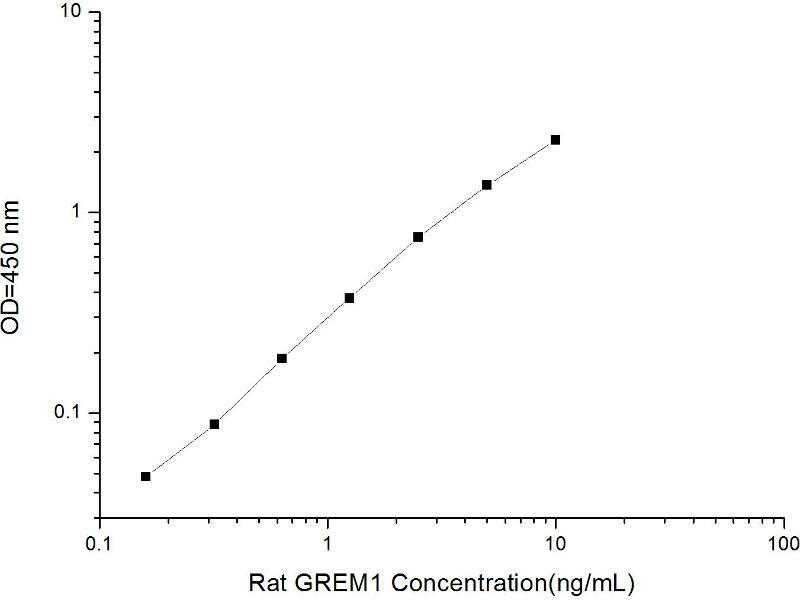 As an antagonist of BMP, this gene may play a role in regulating organogenesis, body patterning, and tissue differentiation. In mouse, this protein has been shown to relay the sonic hedgehog (SHH) signal from the polarizing region to the apical ectodermal ridge during limb bud outgrowth. Alternatively spliced transcript variants encoding different isoforms have been found for this gene.